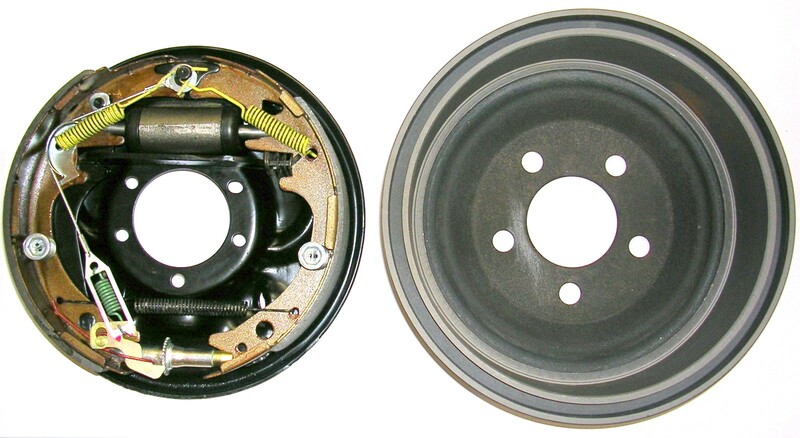 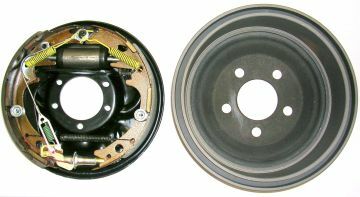 Pair (L and R) 10 x 2 1/2" Mopar drum brake assembly includes powder-coated backing plates, new wheel cylinders, new hardware and new drums installed. 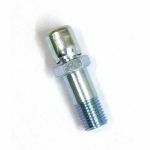 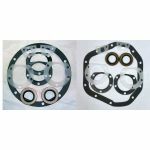 Fits any '65 and newer Dana 60 or 8 3/4" rearend housing equipped with 5 x 4 1/2" bolt pattern axles. 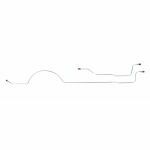 Mopar A, B, and E Body rear axle brake line selector allows you to pick hard lines, flex hoses, brass tee, and vent bolt for your disc or drum combination.